Are These Real iPhone 5 Photos? With the last quarter of the year looming, rumors about the new generation iPhone is slowly reaching fever pitch. This growing frenzy has been fanned by the tantalizing previews of the next generation iOS 5. Now here’s another piece of information that will whet the appetites of the Apple diehards. 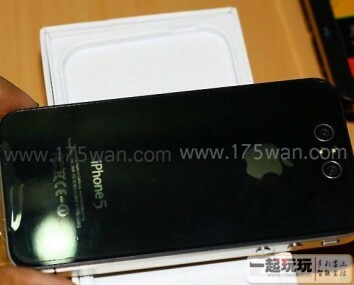 Pictures that have appeared on the internet are showing a supposed iPhone 5. The case is very similar to the iPhone 4, except for two things – an iPhone 5 logo at the back, but more significantly, two cameras as well. We’ve seen this configuration before in devices that feature 3D imaging, like the Microsoft Kinect. But are these pictures real and authentic. Signs point to no. First, if you look at the iPhone logo, the presence of the number “5” is very conspicuous. Apple never put the generation number of a device as part of the logo, so that there already puts doubt on this picture. Another thing we need to consider is Apple’s past behavior in terms of looking at technology. The company is not known to just jump into a particular technology as an early adopter. The company waits and sees first and will only incorporate new technology to their products after it has been proven to be popular and has already ironed out its first generation kinks. The picture of the supposed iPhone 5 originated from China, and we all know of China’s reputation as one of the centers for bogus or counterfeit products. And yes, it even includes electronic products. Yes, 3D technology is something that will be staying and is not going to be just a passing fad. It’s a viable technology for the future. But the possibility of an iPhone with 3D imaging capabilities is most likely only going to happen in the distant future and not within this year.